Back to the event. 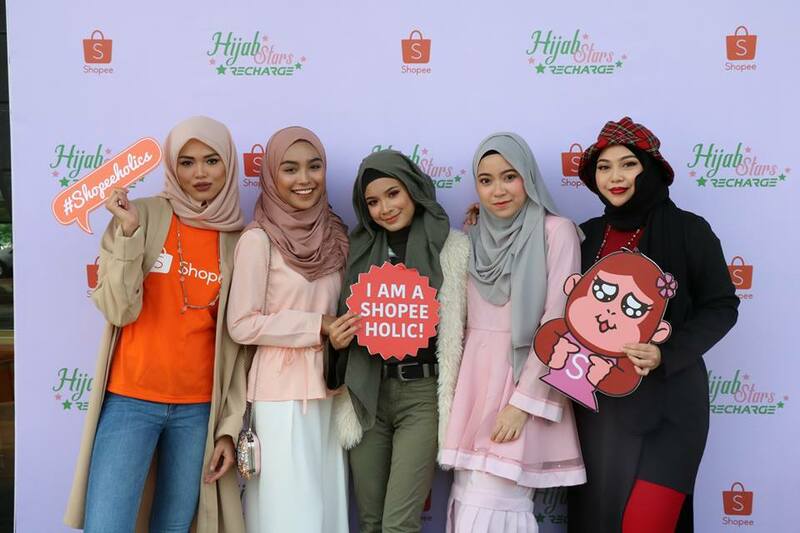 Since Shopee collaborate with Sunsilk (or vice versa), Sunsilk team warmed up the event by talking about their new shampoo line for Hijab Girls called as 'Sunsilk Hijab Recharge' range. There are 3 fragrance for shampoo, and 2 for the conditioner. To be honest, I know the basic thing about this range, but I didn't know about the technology that come with it. 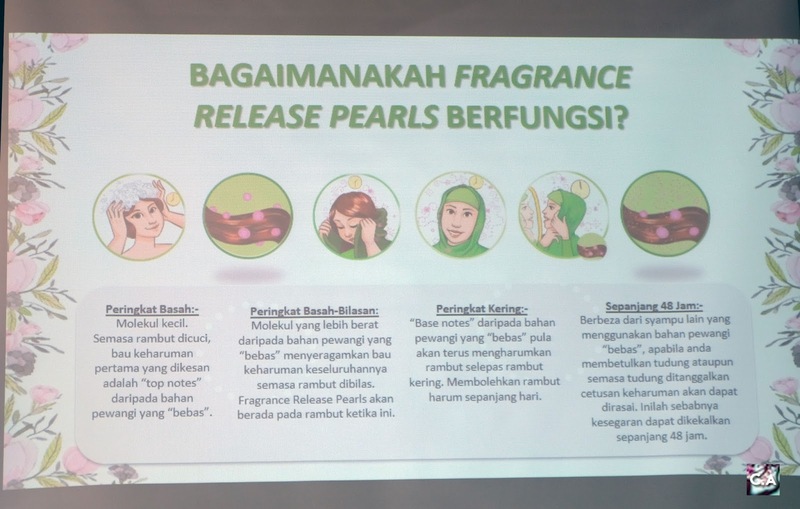 I was surprised when they told me that the fragrance of the shampoo will last for 48 hours, and the friction between your hair and shawl will create more fragrance. Exciting right? That is just a brief explanation, below are the details infographics and you can also click here for more information. Detail Infographics About Release Pearls Function. 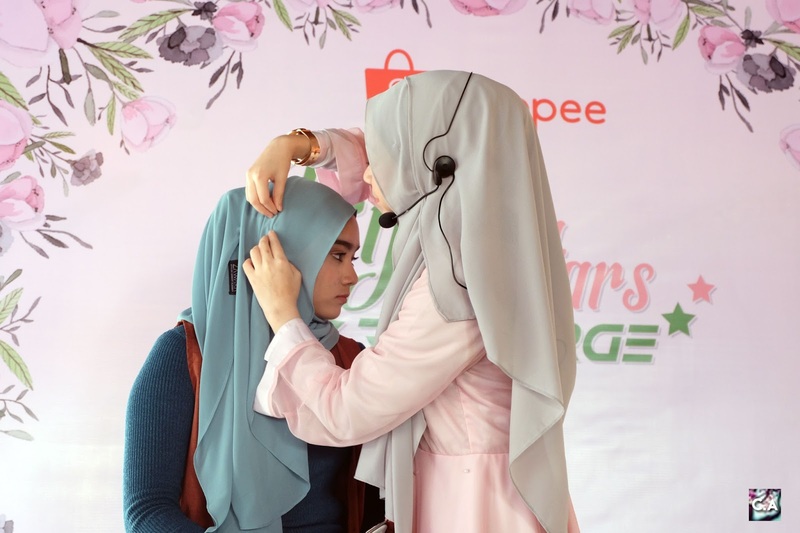 Moving on to the class that we have been waiting for, Hijab Styling! This session will be handled by one of the Malaysia Instafamous, Khadyjah Fathyah. We all learned how to style shawl in 3 ways and it looks very easy to do. Do you want to know how it was style? Please scroll down till the end of the post. 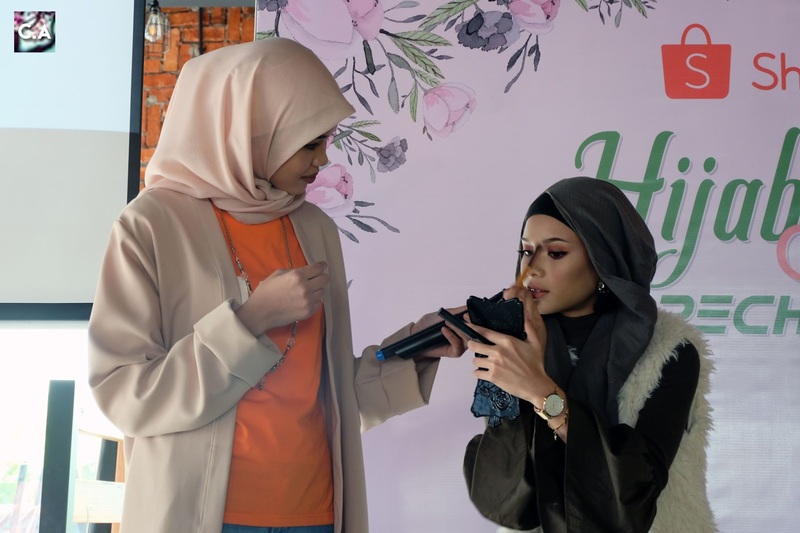 Khadyjah Fathyah showing how to style hijab for Raya! Then, there are session with Zamrina Zamrim on how to get perfect brows. She is a part time beauty Youtuber and I love how she teach us on the session! For your information, I didn't know how to draw my eyebrows, most of the time (99%) I didn't do anything to it, except brushing it only. To tell you how noob I can be, I didn't know that if you drawing your eyebrow you didn't have to do anything else. It show how important the eyebrows to all of this beauty guru. Ain Edruce helping out Zamrina Zamrim. Btw, Ain is a really AWESOME emcee! About the eyebrow, I didn't get it correctly at first try, and you need to do it everyday to perfected the drawing. But I will try and let see how it goes. Before I put an end to this post, I want to thanks to Cici Ocin and Paris Ashiqin for inviting me to the event and to Kecik for be my companion. I would say that it was the most productive day of my life and I learned so much from the event. 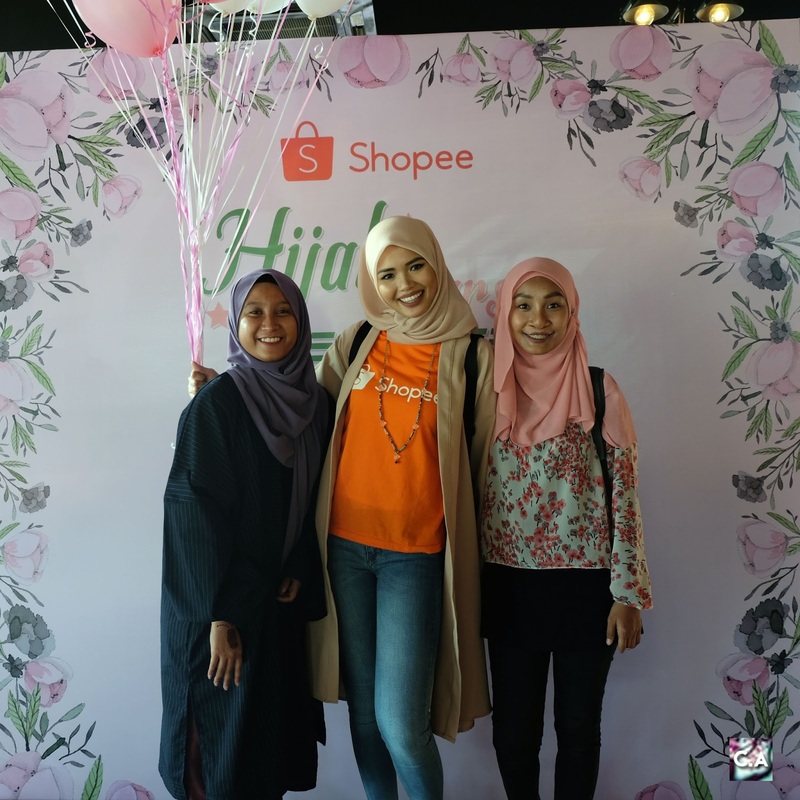 As promises, I made a video for you all on the Hijab Styling and How To Get Perfect Brows session. I hope this can help you in some ways, either preparing for Raya and just for any occasion that you will attend #girlshelpinggirls. Kecik & I with awesome emcee of the day, Ain Edruce!